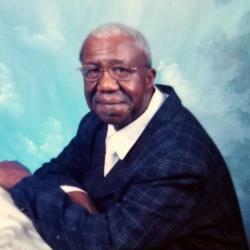 Obituary for Herbert Hartley, Sr.
HARTLEY - Herbert Hartley Sr., a resident of Jacksonville, Florida passed away on January 7, 2019. Funeral Service will be held on Saturday, January 19, 2019 at Philip R. Cousin AME Church, 2601 Orange Picker Road at 11AM. Mr. Hartley's remains will rest for visitation of family and friends on Friday, January 18, 2019 from 5 - 8PM at the MIXON TOWN CHAPEL of Q. L. Douglas Funeral Home, 2403 Edison Ave.